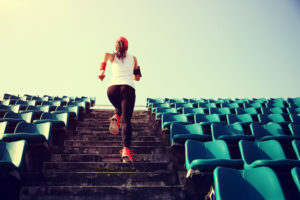 There are quite a few very good reasons for looking to maintain or improve your joint mobility one is having a good range of movement through all your joints will protect you from injury. Why so you may ask? Well, within reason, if you have joints that can operate through a full range of their normal un-injured or affected by years of neglect movement you can safely exert force through a much greater range of movement. This ability to exert force through a greater range of movement ultimately means you are less likely to injure yourself. The second is that that if you don’t use it you’ll lose it. This means that unless you’ve got particularly good mobility already that you will, in reality, be looking at improving it, especially as it is as much effort to do this as it is to maintain what you have. A couple of quick checks you can do to assess how much work you need to do are a) can you comfortably sit down into a full hamstrings to gasrtoc’s squat and stay there for a few minutes? b) If you lie on the floor with your arms extended above your head do they lie flat on the floor? If you answer no then you definitely need to get to work on improving the mobility of the areas that affect these movements and even if you answer yes you still need to some work to help maintain the ability to do this. We’ve decided we want to improve things so how do we go about it. An easy start would be beginning the day with the movements laid out in “getting your 5-a-day”. This would be a nice general warm up to begin the day but isn’t going to deal with, nor was it intended to, all your problems. You need to think about what problems you may have and we can start from there such as do you sit in a chair for most of the day and perhaps, as a result, can’t sit in the full squat mentioned earlier? We can be sure that your hips and the musculature around them aren’t in as good a shape as they could be. Everything from your glutes, round to your quads and up into your psoas probably need some work to a greater or lesser degree. A great way to help here is to get the foam roller and a tennis ball, or other type of ball, out and set about releasing some of the tissue in these areas and check out the advice Kelly Starret’s excellent MobilityWOD blog for some great advice on how to work on your mobility. 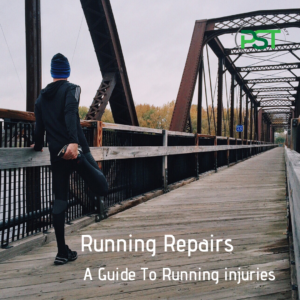 Are you a runner who always seems to be plagued with ITB problems? Have you thought about how well your ankles are functioning or if you have glutes that work? Both these areas are likely to cause you issues if they don’t function correctly. For the ankle complex we need to make sure that the subtalar joint, the one that forms the hinge, we need to make sure that it has the ability to slide back and forwards, all be it very slightly, and that the talocrural joint is also moving. This can be achieved by including the movements mentioned here in your warm up. For your glutes, getting them to fire correctly would be a good start and can be done by lying prone and contracting the glutes before lifting a straight leg a few centimetres of the floor. Repeat this 10 times per leg. Sitting at a desk all day will also likely cause you shoulder problems through the way it affects your thoracic spine and the soft tissues around your shoulder girdle. The rotational flexion/extension movement of the spine can be worked using the exercises included here but there will also be a need to release the soft tissues of the shoulder girdle. One thing to remember is that the movement of your shoulder is determined by more than just your deltoids and you’ll need to be thinking of working on your pec’s, lat’s and tricep as potential problem areas. For ideas on things to work with I’d again suggest checking out MobilityWOD for ways to target this area.